We are youth with principles. We say "No" to everything that is bad, evil, and that which destroys. We live holy lives according to the Bible. We defend what is right and uphold what is just. We are grounded in God's Word and we cannot be swayed by what is false. We are responsible thinkers and doers for we know that our thoughts and actions do not only affect us but our loved ones, our friends and even the innocent strangers. We live by example. 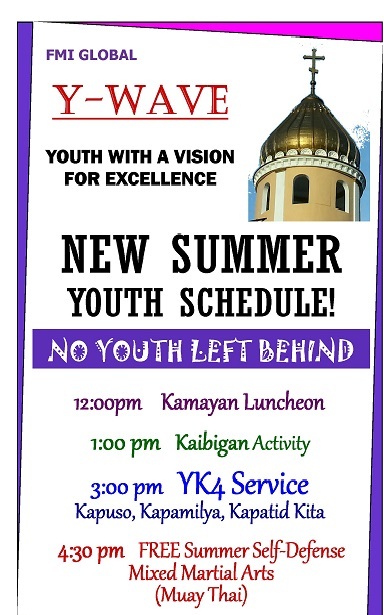 We are youth with a mission. We are here for a reason and that reason is to serve God and bring glory to Him. No matter how hard life deals with us, we will not be discouraged. Our eyes are fixed on our mission and we are determined to carry it out for we know that even though our body is fragile, our spirit can never be broken. The Youth have setup a basketball tournament that includes all ages from midget (children) to older youth. The youth play after Sunday Service each week. 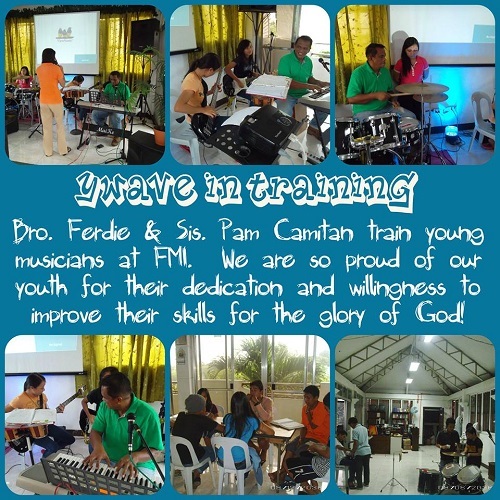 This is the youth practicing the praise and worship songs. The High School scholarship program started in 2000. It was founded by Elizabeth Barrales-Legeza to help underprivileged families in this little village, pay school fees that the parents could not afford. The first five scholars have now graduated from High School. There are 5 4th yr students, 5 3rd year students, 5 2nd year students, and 5 1st year students as of 2005. 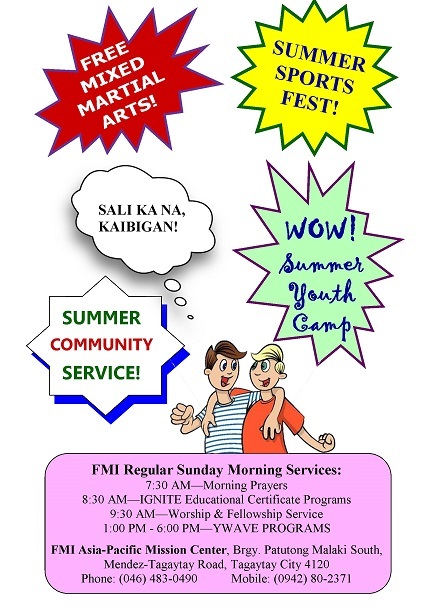 They are active participants in all of the FMI Youth Club's activities. The goal of this scholarship was to send five students to high school annually. But it is our vision to send more should our organization be blessed financially. 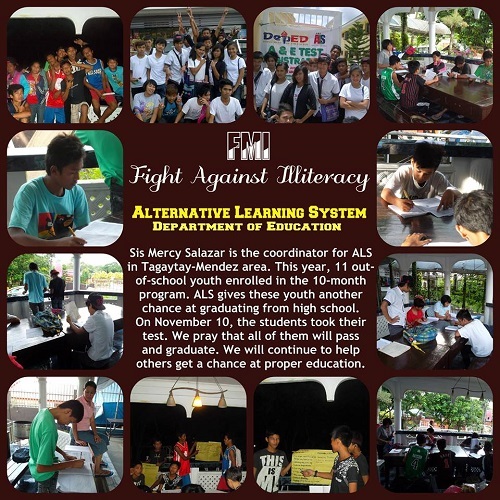 Yes, we would like to send more underprivileged children to school including elementary children. There are a lot of families with more than three children who could not afford to send all of their kids to school at the same time. There are those who have only two children but because of poverty are still unable to send their children to school. So this is where we come in - to stand in the gap of education. 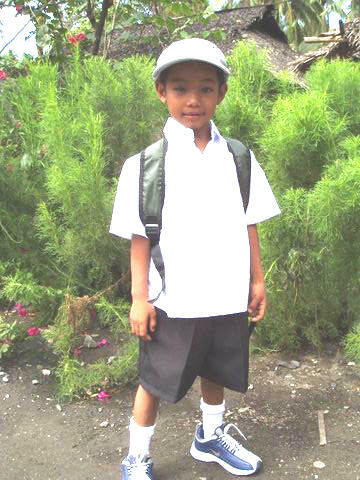 After recovering from his neck tumor surgery in December 2004, Arvee was ready for school. He is in 1st grade this school year which started in June 2005. As an FMI full scholar, Arvee enjoys getting his daily allowance. We cover his authorized school fees, school projects. We also provided him with complete sets of uniforms and a boyscout belt, back pack, baseball cap, a pair of snickers and socks, and a complete set school supply. Marianne is now in Manila area. 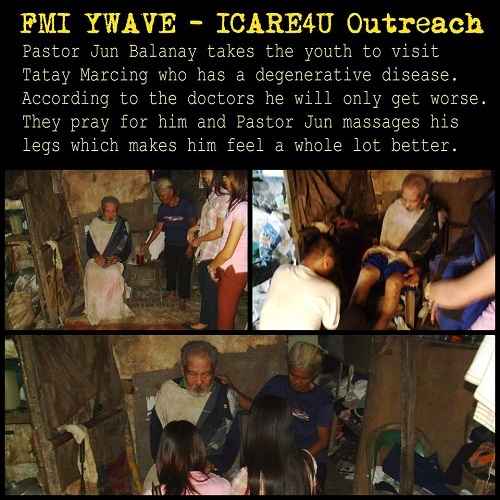 She was assisting FMI's Children's Ministry (Mindoro Children's Movement). Marianne was a part-time scholar but had to transfer school somewhere else. FMI covered Marianne's school tuition fee or authorized fee and the costs of her school projects. We also provided her complete sets of uniforms, shoes, socks, back pack, alarm clock, umbrella, and complete school supply. She also received a daily school allowance. 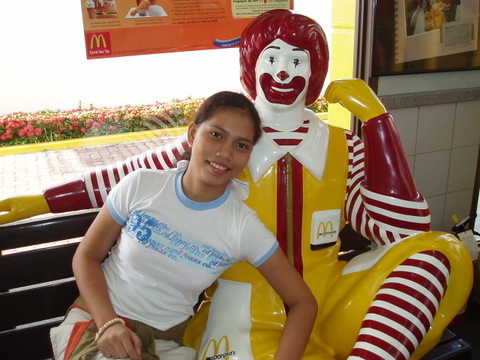 Jessica had transferred from Batangas to Barahan village with her parents when they joined FMI. Jessica is now finished with her schooling. 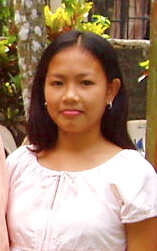 FMI covered Jessica's school tuition fee or authorized fee and the costs of her school projects. We also provided her complete sets of uniforms, shoes, socks, back pack, alarm clock, umbrella, and complete school supply. She is also receiving a daily school allowance.